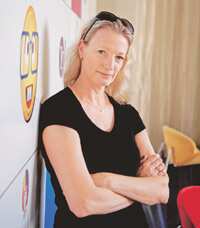 Bangalore: Finding patterns is what Elizabeth F. Churchill does. Patterns that underlie human behaviour and can point to what certain people might want to use their mobile phones for or how they might go about finding a friend online. A psychologist by training with a PhD in cognitive science from the University of Cambridge, Churchill has specialized in observing people and the way they interact with technology for 15 years now. Why is “usability" becoming crucial in new technology development? “Usability" is one part of a bigger picture; it helps achieve the tasks a user sets out to achieve. But I look at “usefulness" as more important. Sure “usability" is important in a development lab, when prototypes are built. But then there has to be an ethnographic, anthropological approach that looks at how this technology is being used. Humans are so creative, what are they using the technology for? How does it sit in everyday life? When we add applications we must understand how “useful" they are. Are there examples you can share of product development that shows how technology can be made useful? There are multiple ways that technology can be used—take Yahoo Personals. In the US market it is huge, it has great design, the back-end algorithmic stuff, the interactivity makes it usable, but in a market like India it is not a useful product. That is because the brokering of serious relationship differs in these two societies. So, it’s very important that there is cultural work that makes technology useful for people. Or else you will have people say the features are great, but it doesn’t work for me. So how does the socio-cultural aspect get integrated into the technology development cycle? Cultural interpretation and iterative design are important. It’s not just about sticking a social scientist in the lab, the nuances have to be interpreted, and the lab has to be linked to strategy. Take an example: about 10 years ago, when SMS was hugely popular in the UK and mobile use was huge in Japan, but it wasn’t so in the US. Was it about cultural difference? No, that situation was about the larger ecosystem for mobile phone usage, about availability of bandwidth and appropriate pricing. When a human-centred social scientist detects patterns, it has to be backed by surveys and interviews, there has to be both qualitative and quantitative data, it is a philosophical approach. Take another example—while working on access control and settings for Flickr, huge differences came up in the way this was used in Scandinavia, where more pictures had private access and less in the public domain than in the US, where more photos were in the public domain. This is a pattern of cultural difference. So, a rapid iterative, data-centred approach is important to serve users’ needs. As business gets more global, will there be more such culture-specific development? The sweet spot, the trick, is in balancing this—what is general enough to be of business value, but also addresses deeply important local differences, not the quirky personality differences of each user. At Yahoo, the open strategy is a huge boon for us; we are leveraging the development network. The Web is about co-creation, groups of users building collectively, it is like a cottage industry of creation—the participatory nature allows us to harness the creativity of a large number of people. We have a focus group in India that is throwing up ideas—it is a youth-centred demographic here, skews towards more mobile use, social networking sites, so we are looking at Yahoo social networking sites on mobiles. Then there are questions such as what handsets should be used? What applications work? Will maps or shopping make sense in India? There is a global perspective, but the user experience design team will look at local traditions as well. In developed markets, where newspaper readership is dropping, we are asking where people are getting their coupons from. So we are brokering different conversations, there is no one size that fits all. What is the role of the social scientist in such participatory networks? We are humanizing technology, and are part of the ideation process, but I also believe that there should be an understanding of technology. I trained as a social scientist and also have a masters in artificial intelligence. I don’t build the infrastructure, but I go out in the field and social perspectives are part of the discourse, of the culture of technology development. At Yahoo, research is central and is taken very seriously, and I know I am being heard and supported by my leadership. What are the challenges you see in developing technology in such participatory networks? It is increasingly about data ownership, data privacy, about storing information online and the security of such information online or in the cloud. We look at issues such as the terms of service when users put up all that content out there. And then the question of what is data, what is metadata? Say I post a picture of this group on Flickr. From a technology perspective it is my picture, but then people comment on the picture. The comments plus the views makes it a social object. Who owns the data? These are the debates right now and also about access control, storage as people continuously create. What are the benefits from having worked across geographies as you have? How has this contributed to your work? I was born in India (in Kolkata) and lived in Bihar in a copper mining town, so when I returned here after many years it still felt familiar. I studied in the UK and have worked in Japan and in San Francisco, where I live. There are multiple local cultures that I can access by just stepping out in different directions from my front door. Spanish, gay, ethnic Chinese, each have a distinct local tradition right there. But being born in the digital era does not mean a person has access to technology, every digital native cannot access technology equally. There are infrastructure access issues. There is culture and then there is infrastructure, it is about a whole ecosystem.